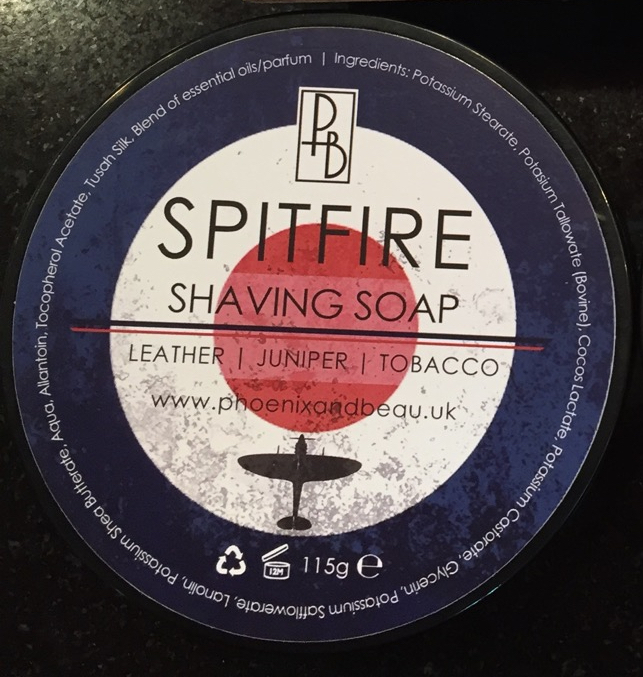 Phoenix and Beau is an artisan soap maker in the U.K. I'm not sure what inspired me to try this soap, but I'm glad that I did. I was looking to add some variety to my soap lineup. I also bought their Sanskrit soap. Smelling the puck the first time I got a hint of ashtray. After having the jar open for a few minutes I was getting more of the leather and the slightly sweet juniper background. During an initial palm lather the scent evolved nicely. Even better was the lingering scent on the brush which was light and somewhat sweet/floral. The first shave was very good. I lathered with an Simpsons M7 Manchurian and shaved with the Cobra Classic. I had to load it a bit more than some other soaps but even on the third pass when the lather was thinner the performance was very good, slick and protective (same experience with P&B's Sanskrit soap). I really enjoyed the scent during the shave. Post shave was exceptional; the result being glassy smooth with little or no irritation. Mostly out of habit I followed with a splash of Speick AS. Spitfire is a welcome addition to my arsenal, and I'm already looking forward to using it again. Chris, thanks for the review, I have been really interested to hear about this soap, particularly this scent. I have always been a patriot but I must say up until recently I think we (UK) sucked a little when it came to artisan soaps. With these guys and OSP I think we may have had a break through. OSP I have tried and it is truely great soap but I will look to try P&B very soon. Thanks for sharing Chris. I was interested to hear your impressions of this scent profile and its good to hear that the performance was up to snuff as well! Enjoy it! I've been really curious about this soap. Thanks for sharing the review; guess I need to pull the trigger. I recently ordered Spitfire from Maggard's and returned it. The smell was very pungent. Ashtray is a good description. I even set it out overnight with the lid off. It didn't help. I returned it and will try Citra Royale instead. Just a word or caution. If you like B&M Roam give it a try. Very smoky. I've recently discovered P&B (Unscented though), and what a find! Very protective, with a wonderful post shave feel.. I can't sing enough praises for this soap, it's a real game changer. I'm always wary of the "New Kid on the Block" syndrome but this soap is equal to the hype. Really slick, takes a ton of water and great post shave. I'd say performance is a notch or two better than B&M Glissant. The scent is smokey and dark, very inspired. I've got Sanskrit and Citra Royale enroute from Maggards. You guys in the UK are living large! B&M is my benchmark soap and P&B has blown right by it. I'm looking forward to the new Denali Menthol release. P&B performance plus menthol? Oh, yes! 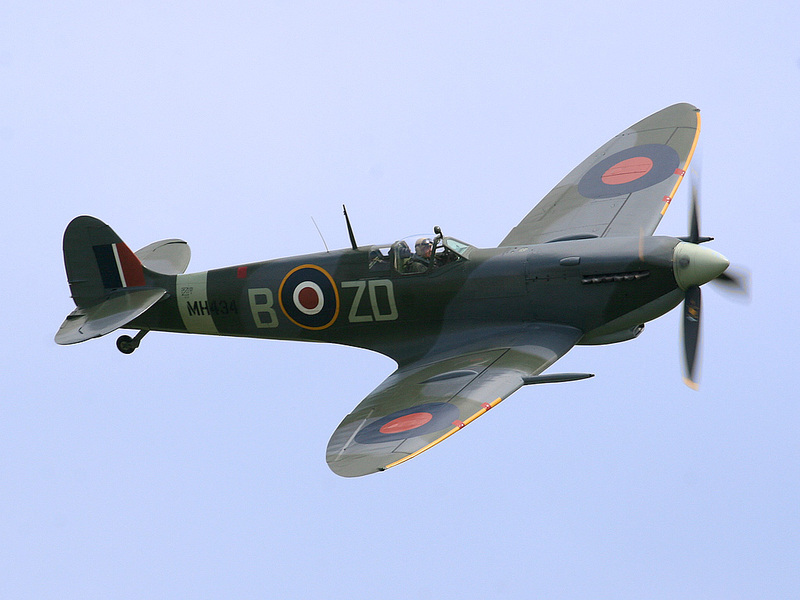 I thought you meant the WWtwo Spitfire. England made this plane.